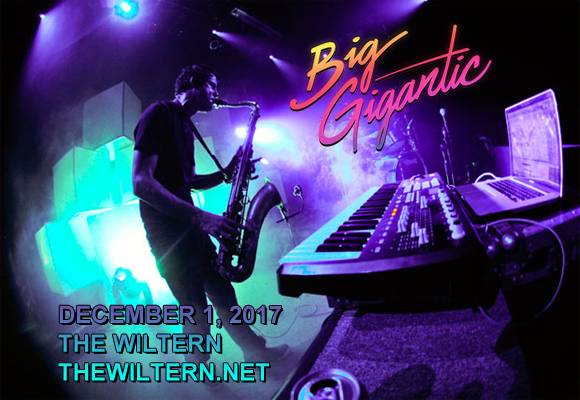 Huge beats and massive hits are coming to The Wiltern on Friday 1st December 2017, courtesy of Big Gigantic! The electronic funk duo will be getting the dancefloor going with tracks from their new Brighter Future remix album, as well as the original tracks and some brand new tunes too! It's going to be a killer party – get your tickets now! Instrumental electronic hip-hop duo Big Gigantic first burst onto the scene in 2008, releasing their debut album Fire It Up the following year, before embarking on a full U.S. tour. Their 2012 album Nocturnal was a download smash-hit, and the pair has found themselves incredibly popular at festivals, with Lollapalooza, Ultra Music Festival, Hangout, Austin City Limits, Governors Ball, Bonnaroo, Electric Forest, Outside Lands, several Mad Decent Block parties and more under their belt. To date, Big Gigantic has released 8 studio albums with their 2016 LP Brighter Futures debuting at #1 on the iTunes Electronic charts and #2 on Billboard Dance / Electronic chart.